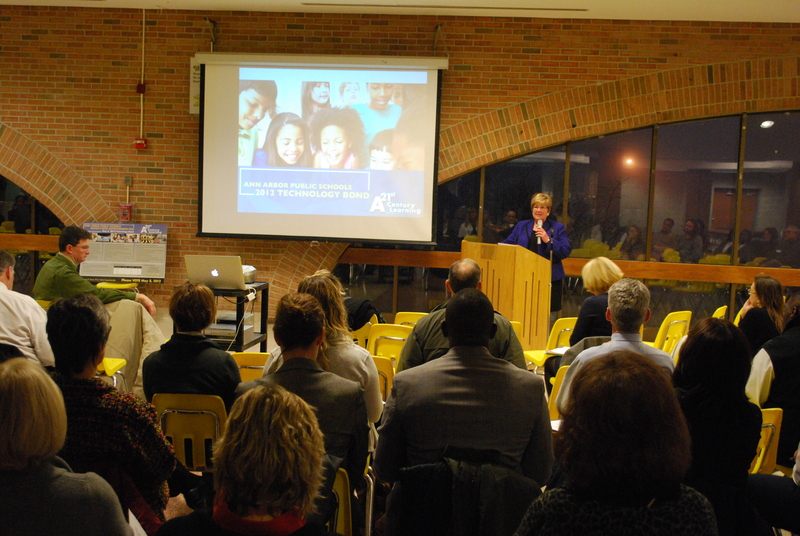 With 73 percent support, voters last week approved Ann Arbor Public Schools $33 million dollar bond proposal. The Board of Education has now authorized the sale of the first series of bonds. 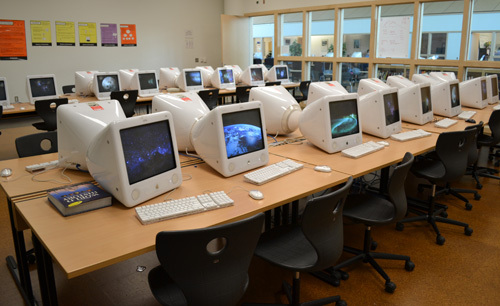 Every Ann Arbor Public Schools classroom will get new technology next school year thanks to a $6.2 million dollar purchase approved by the Board of Education last night. New laptops, desktops, printers, and iPads are included in the package. The $45.8 million bond, which voters approved in May 2012, is being spent in three series. 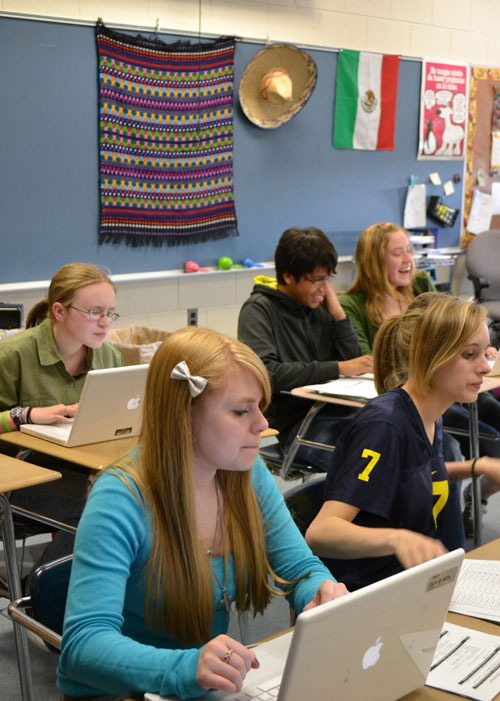 Last year, Ann Arbor residents approved a Technology Bond Millage to fund much-needed updates in our schools. See how that money is being spent. 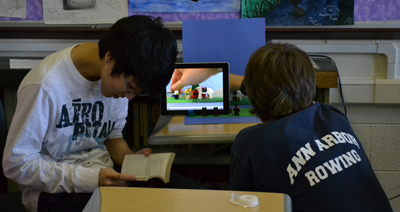 If you peeked into Don Packard’s freshman English class a couple of weeks ago, you would have seen a room abuzz with students playing with Legos. In an eighth grade Spanish class at Tappan Middle School earlier this month, Jennifer Shaw’s students learned how to become weather forecasters. Well, that’s what sounded like. Using the website ed.voicethread.com, Shaw’s students practiced their Spanish speaking skills while using a slew of technology resources. Skyline High School still looks as shiny and new as the day it opened four years ago. Outside, modern steel beams crisscross over airy windows that stretch up its four floors. Inside, tall ceilings and natural light show off a pristine interior unblemished by time. So why would Skyline be allocated any dollars from the Technology Bond if it passes? 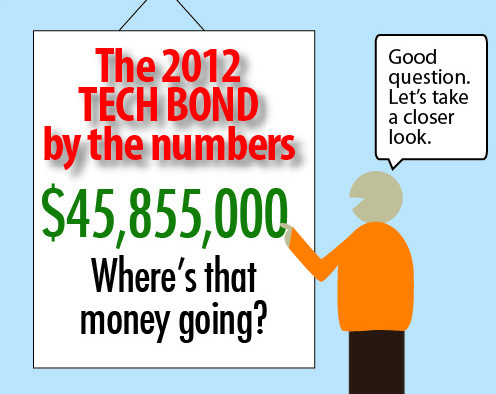 If the Tech Bond is approved, the money wouldn’t be spent all at once. Instead, this detailed illustration shows how the money would be used during a 10-year period.